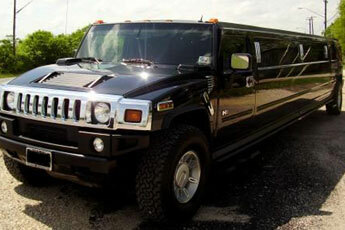 Arrive in Style... Ride in a Hummer limo! 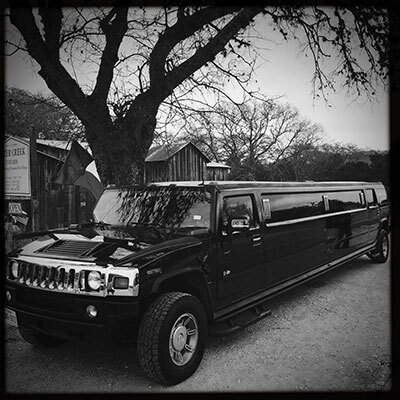 San Antonio Top Limo offers the best limousine experience at competitive prices in San Antonio and the surrounding areas. Our extensive fleet of luxurious limousines consists of luxury 4 seater sedans, 10 seater stretched Lincoln sedans, 16 passenger SUV limo, up to 22 passenger Texas-sized Hummer Limo, and our gigantic party bus. Whatever your limo needs may be, we can hook you up with the perfect limousine. Just give us a call and we can get you set up with a limousine in as little as 3 minutes. ​Our limousines are some of the most luxurious limousines you will find in San Antonio and the surrounding areas. With features such as LED lighting, surround sound system speaker systems, wet bars, and flat screen TV’s, your limousine experience will be nothing but the best inside our elegant rides. Take your pick from any of our limos and tell us the location of pick up and drop off, and we can get there to you and to the destination on time and in comfort. The drivers we hire are the best in the business hands down. We take great precautions in hiring drivers for your safety. Background checks, drug tests, and training are all part of the procedure we take when looking at drivers. Our professional chauffeurs will treat you like royalty as soon as you walk up to them. Opening and closing the door and caring to your needs inside the limousine at all times are what our drivers are there for. They make sure they arrive on time in the exact destination set, and get you to your event on time as well. Our drivers are trained in all of our vehicles, so all you will have to do is sit back and relax. One of our more luxurious models is our SUV limousine. Our 16 passenger escalade SUV limousine is an elegant and luxurious stretched SUV with all the gadgets you would want inside. Surround sound speakers, flat screen TV, wet bar, and LED lighting with plush leather seats makes this ride even better. So grab your friends and head out to taste wine in the hill country, go to a spurs game, or go to that huge party happening. For any reason you may need a limo, our SUV limousine could be perfect for you. So give us a call and ask about our Escalade SUV limousine. We can fill you in with every spec and detail you want to know about it. San Antonio Top Limo is your limousine rental company for the best in limo experience. To experience our limousines for yourself, give us a call. In as little as 3 minutes, you could have a limousine reserved just for you on the day you want it. Our drivers will be sure to get there on time and in place for you and your family/friends. Our pricing may not be the cheapest in San Antonio, but there is a reason. You get the best limousine experience in San Antonio, and that’s worth every penny.